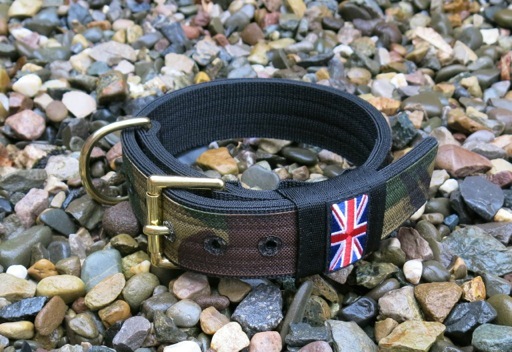 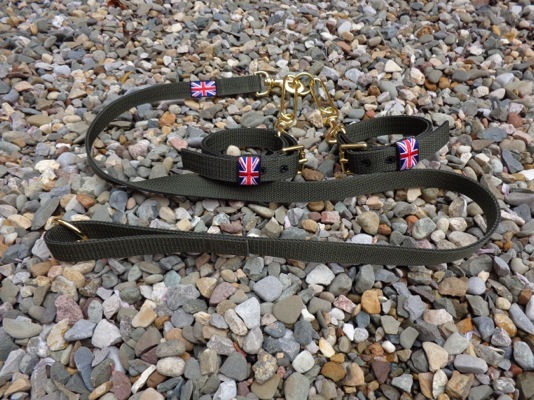 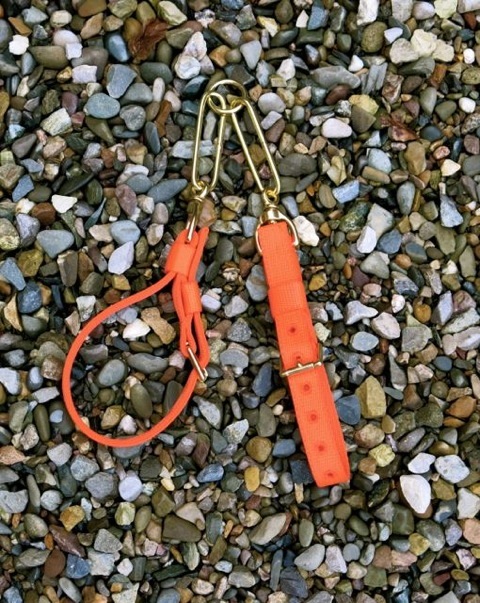 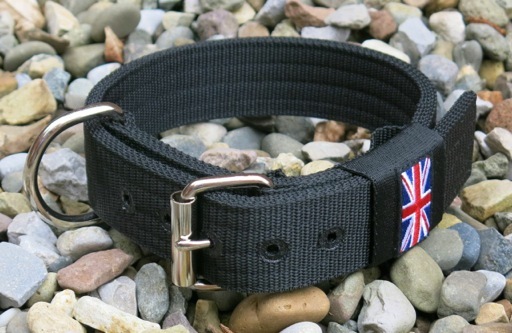 STRONGSTUFF Heavy Duty Dog Gear is hand made in Great Britain, by one person, using only the best quality British made components and materials to the highest standard possible. 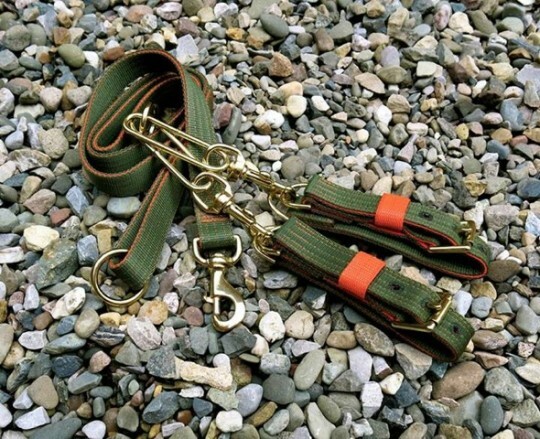 All work is guaranteed for life, this gear is built to endure the worst conditions and never require any special treatment, it is easy to clean and quick drying. 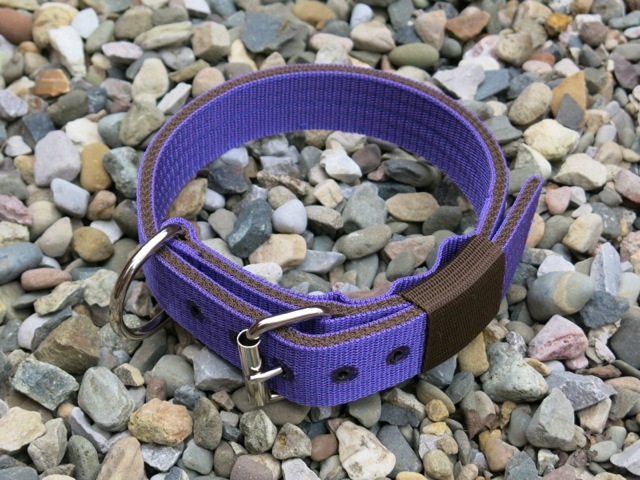 Webbing is of the best quality available, fittings are either nickel plated welded steel or solid brass, stitching is bonded nylon, on average there are 5 or 6 rows of stitching along the length of each collar, stress points are all at least triple stitched for extra strength. 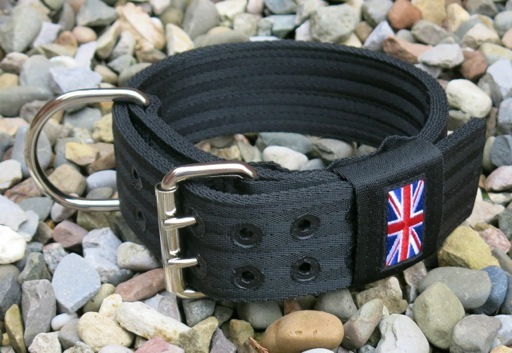 These are made from 5 layers of heavy duty polypropylene webbing with a break rating of 5 tonnes, D rings are the welded wire type, and are also rated at 5 tonnes. 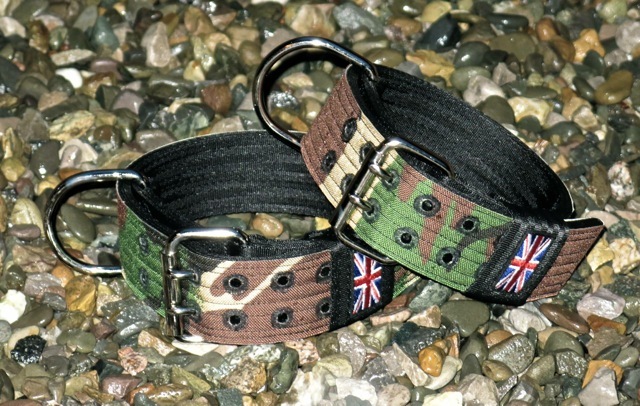 Holes are heat sealed and will never fail, the heat sealing process makes them stronger than using metal eyelets. 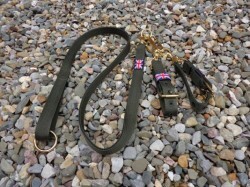 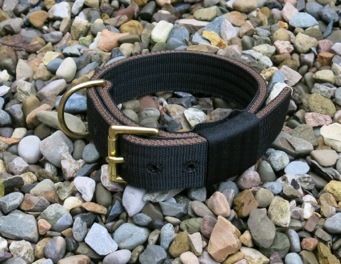 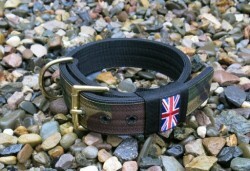 These collars can be made in most colours or combinations of colours with either single or double pin buckles. 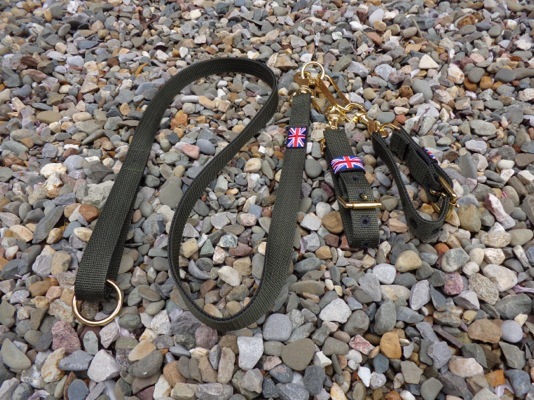 These are made to a similar specification to the 2” wide collars but are single pin only and can be made with either steel or solid brass fittings in most colours. 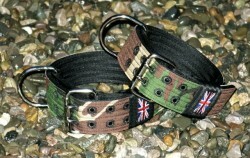 Lots of different options, from single collars to traditional type couples or quick release type couples. Various Strongstuff collars, couplings and leads. 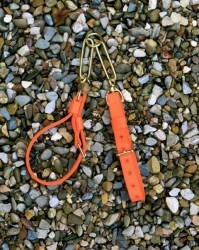 All (sensible) emails are replied to within a few hours. Payment is by online bank transfer, or can be done over the counter at a high street bank. Orders are normally made and posted within a day or 2 of payment.